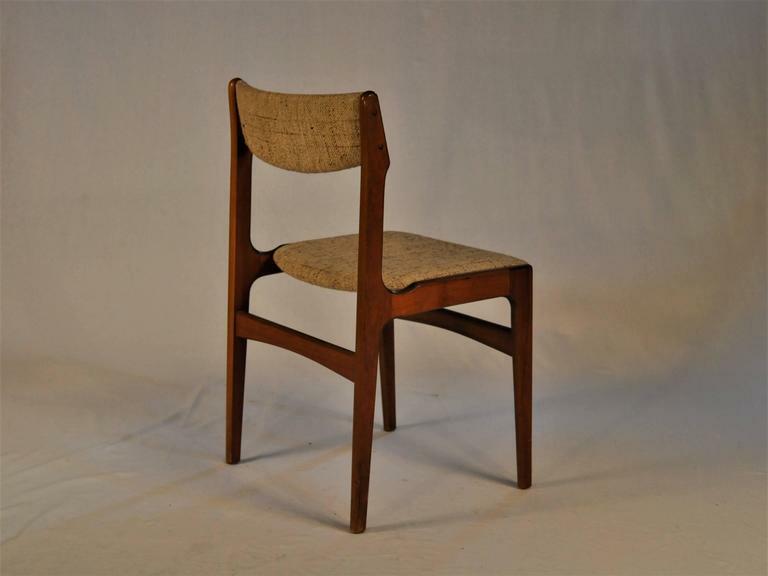 Set of six teak dining chairs designed by Erik Buch. 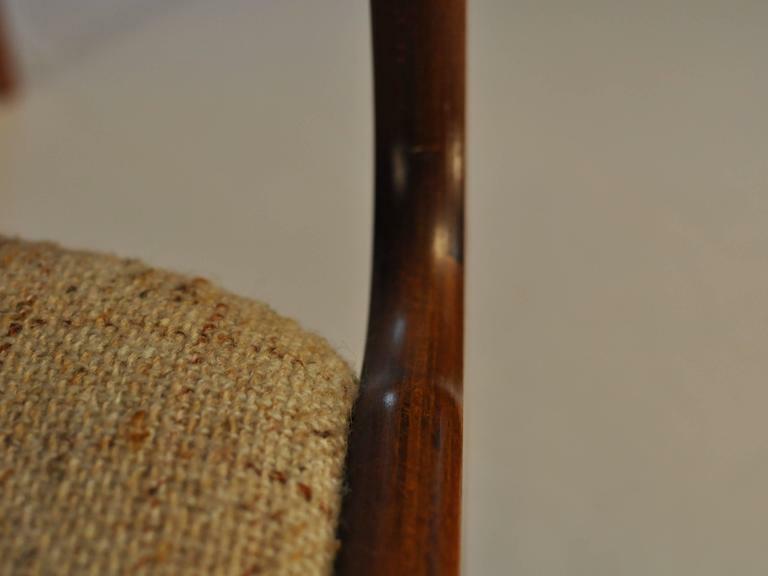 The chairs are as all of Erik Buchs chairs confortable and are in very good condition. 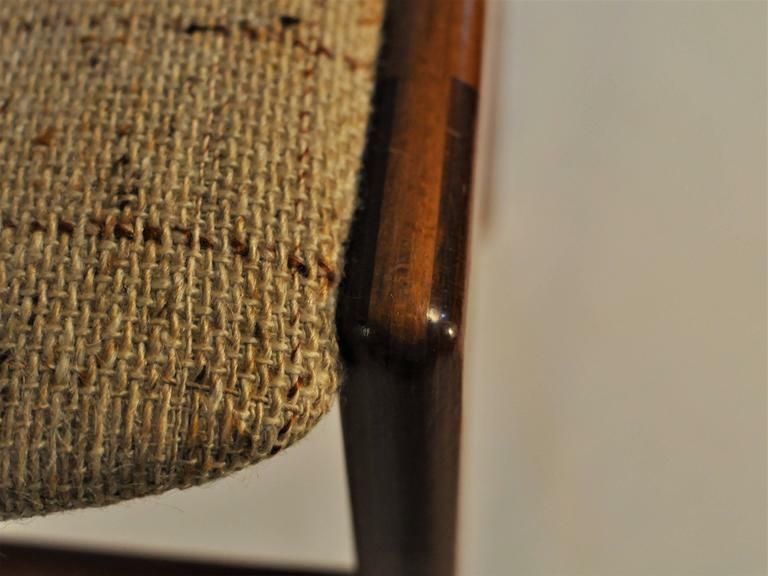 The chairs have been overlooked and refinished by our cabinetmaker to ensure that they are in very good condition and will be reupholstered in fabric of your choice from "Kvadrat" so you get the chairs you wish for ready for use when they arrive to your door step. 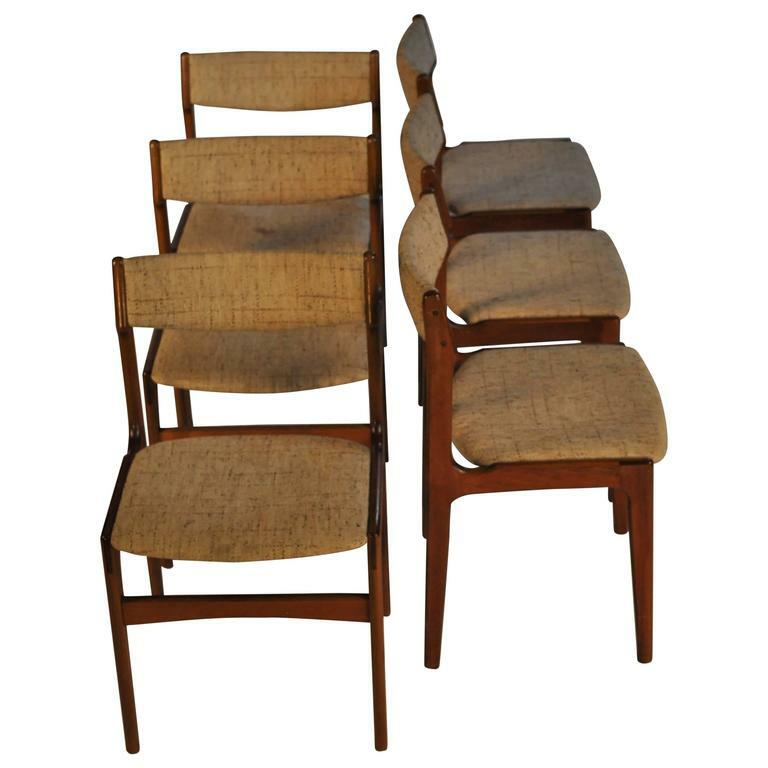 Set of six dining room chairs made of teak wood and black Leather. Designed by Erik Buch and made by Oddense Møbelfabriek, 1960s. Very good condition. 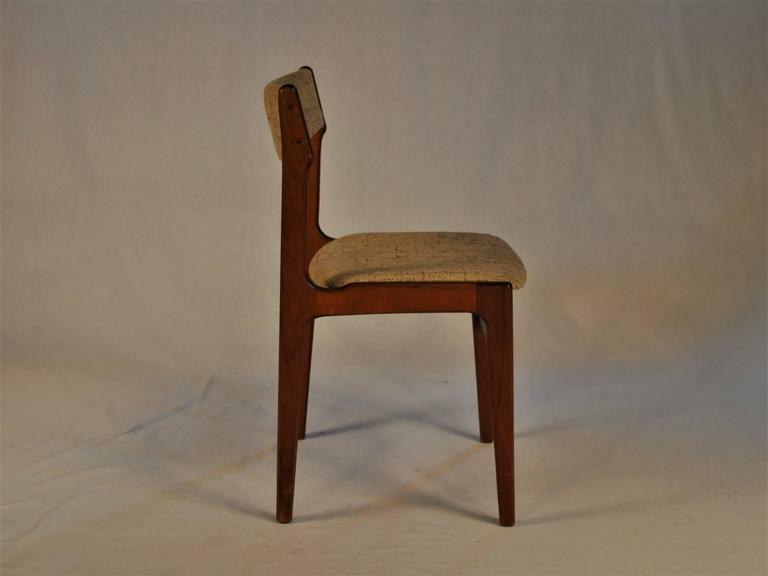 Mid-Century Rosewood dining chairs by Erik Buch, 1960s. Needs to be refreshed through new upholstery. 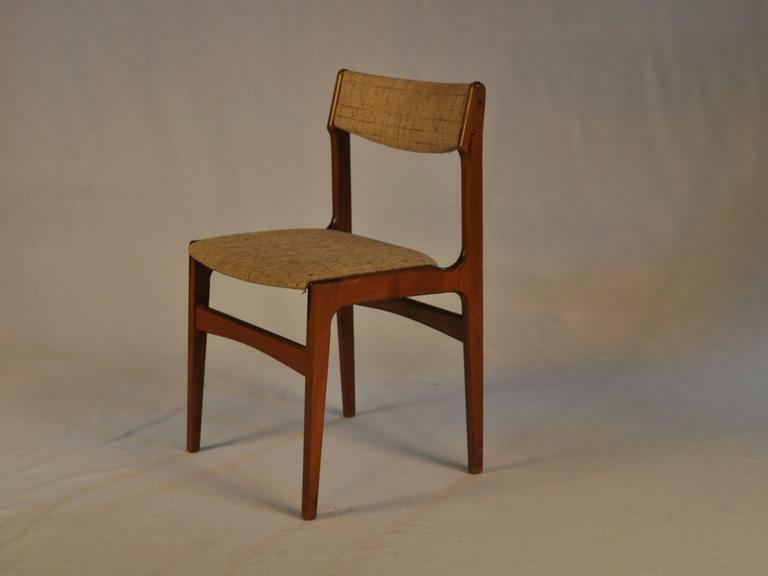 Erik Buch dining chairs made by Odense Maskinsnedkeri. 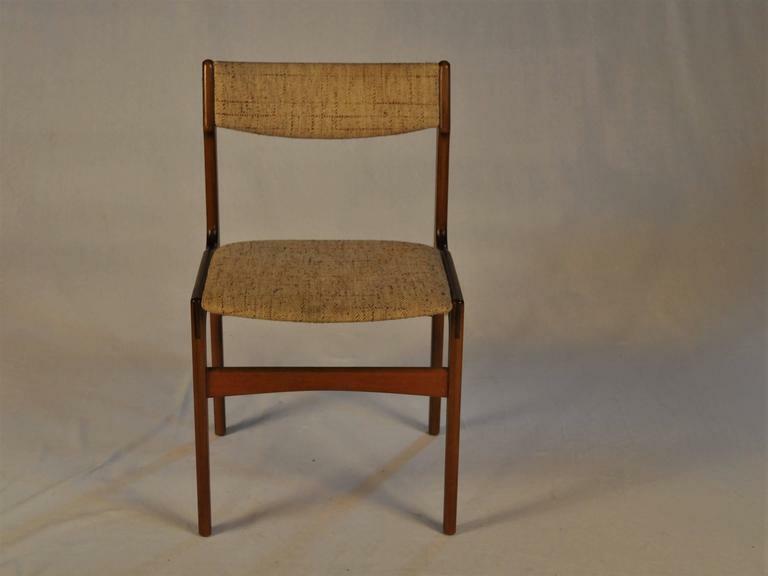 High back dining chair by Erik Buch for O.D Møbler, Denmark. Set of 4 chairs.